Locke Castle? Hey, I know that guy! Yesterday, Mouldy Toof released the latest DLC for their prison escape simulator, The Escapists 2. Titled "Dungeons and Duct Tape," the newest jail from which you'll have to escape has a medieval theme to it, including a jaunty feathered cap! The DLC is available on PC, PlayStation 4, and Xbox One right now, and will be available on the Nintendo Switch "soon." If you own the Season Pass, you'll get this new map for free, otherwise you'll need to shell out $3.99. Regardless if you get this DLC or not, there's a little something for everybody on the PC version as the Prison Editor system has been updated to allow players to freely edit rooms so they can make whatever nightmare they can dream up. 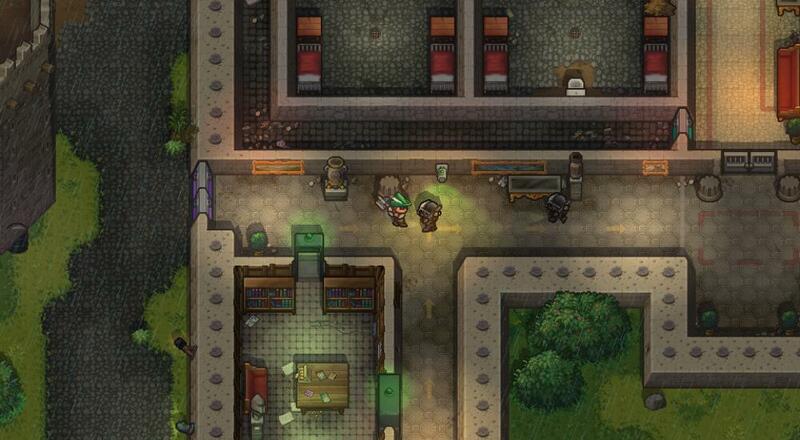 The Escapists 2 is available now on PC, PlayStation 4, Xbox One, and Nintendo Switch. Four player online co-op is supported on all platforms, while four player couch co-op is supported on PC, PS4, and Xbox One, and two player couch co-op on the Switch. Page created in 0.2328 seconds.